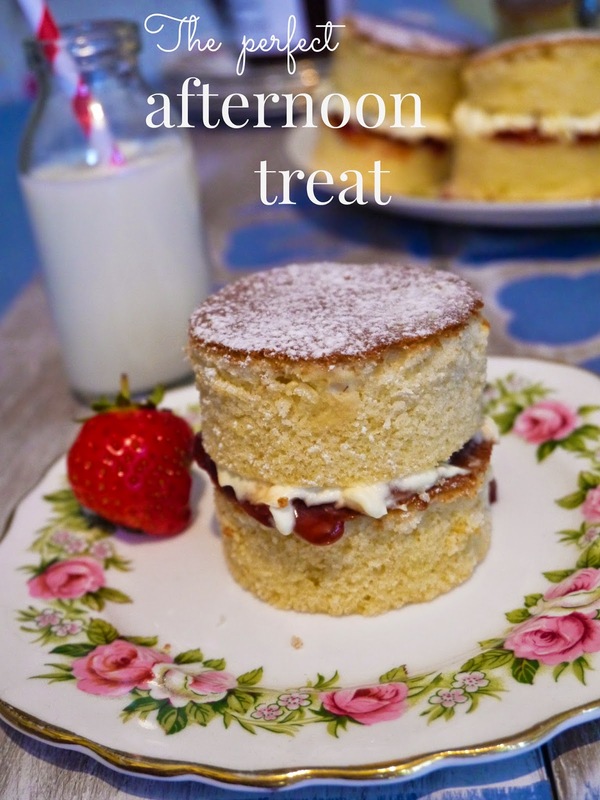 A British classic, the Victoria sponge is one of my absolute favourites. These mini versions are a little more fiddly to make than their larger cousin, but so wonderfully pleasing they're worth the extra effort. 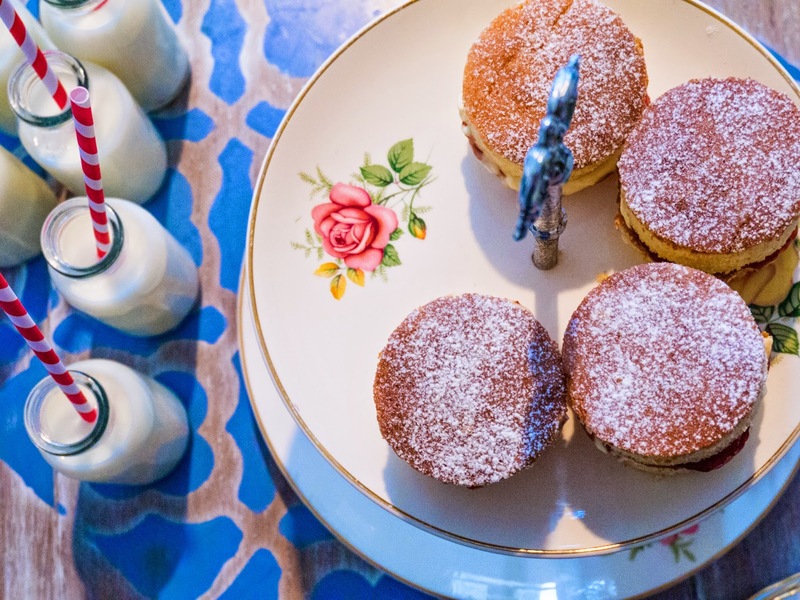 The sponge mix is a doddle, my mum's 'six, six, six, three' method; incredibly easy to remember, so you can spend time making them look as beautiful as possible (and the eating of course). Pre-heat your oven to gas mark 6/ 200 degrees. Take a muffin tin with deep wells and lightly grease and dust with flour to prevent sticking or burning. I didn't have one of these, so actually used a flat Swiss roll tray and then cut out the circles with a cookie cutter, so you can do it either way. 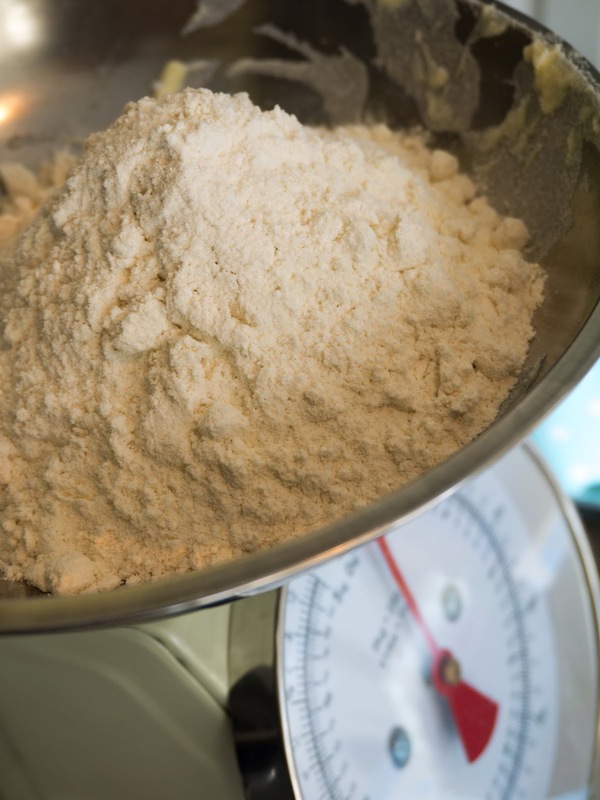 The method for the batter is super simple, even more so if you do it in a food processor. 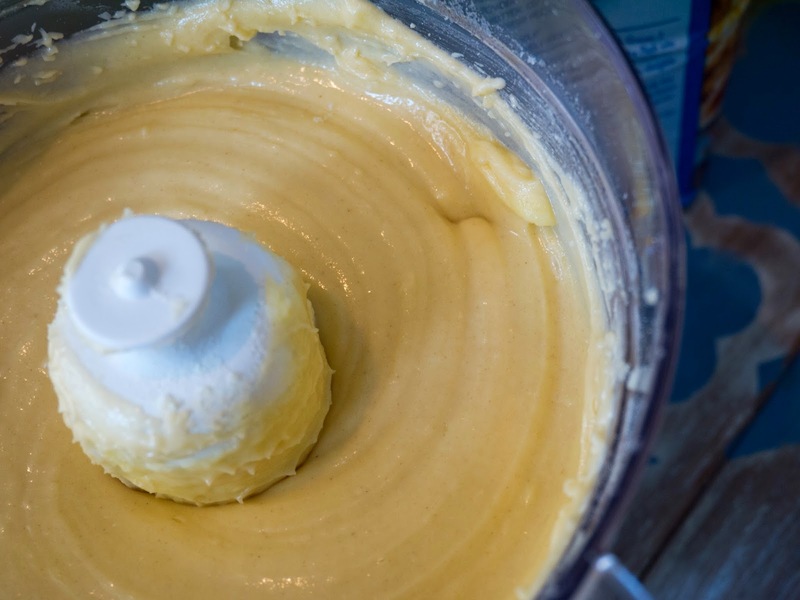 Cube up your butter so it's easier to blend, and pop into the mixer or beat by hand with the sugar. 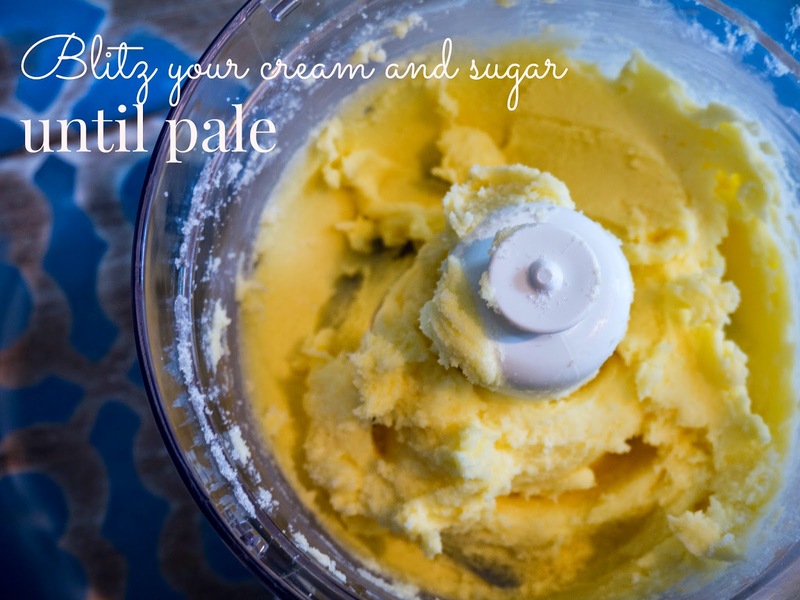 Once it's all lovely and light and creamed, keep the motor (or your wrist!) 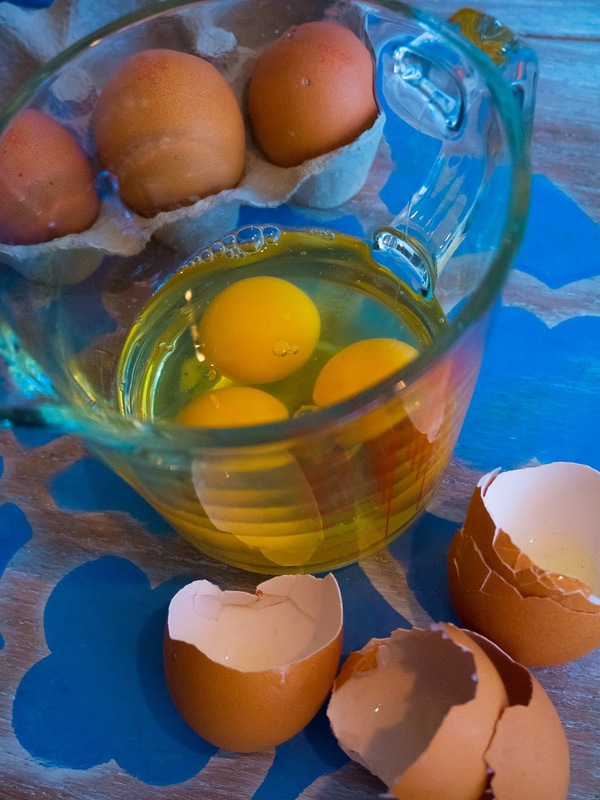 running while you add in your beaten eggs a little at a time, with a spoon or two of the flour to stop the batter from splitting. While the processor is still on, tip in the rest of the flour (ideally sieve it beforehand so it's extra light) and a little splash of vanilla. 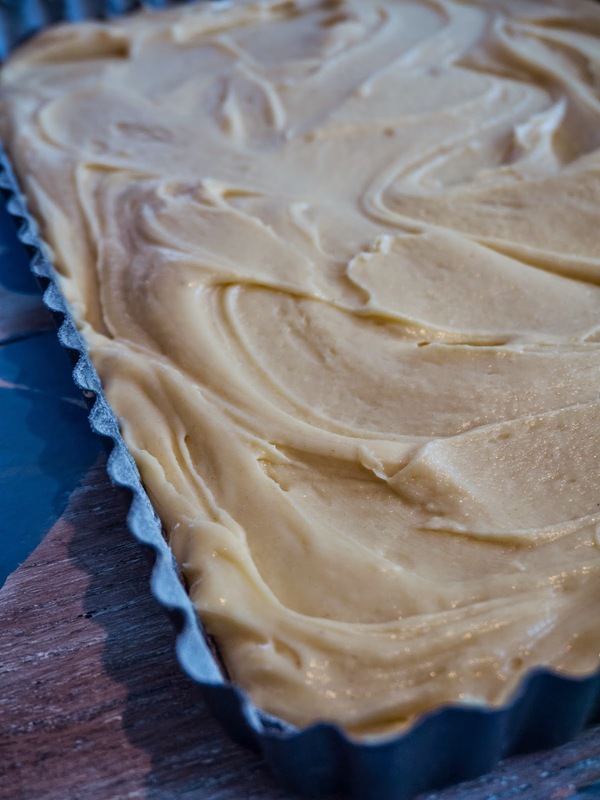 Let it all combine nicely, and that's your cake mix done! It should be lovely and glossy. 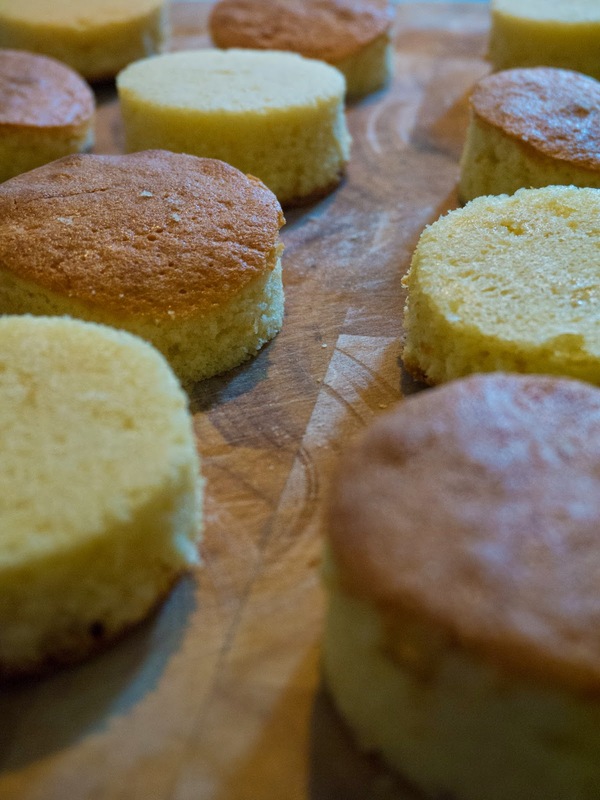 Give the edges a stir and tip it all into your tray or muffin wells, evening out with a knife so it's flat. Cooking time may vary. Mine took about 25 minutes, but it could take just 15 if you're using a muffin tin. Just watch for a lovely golden colour, then pull it out and check if it's done, giving it a gentle press. It should spring back if it's ready. 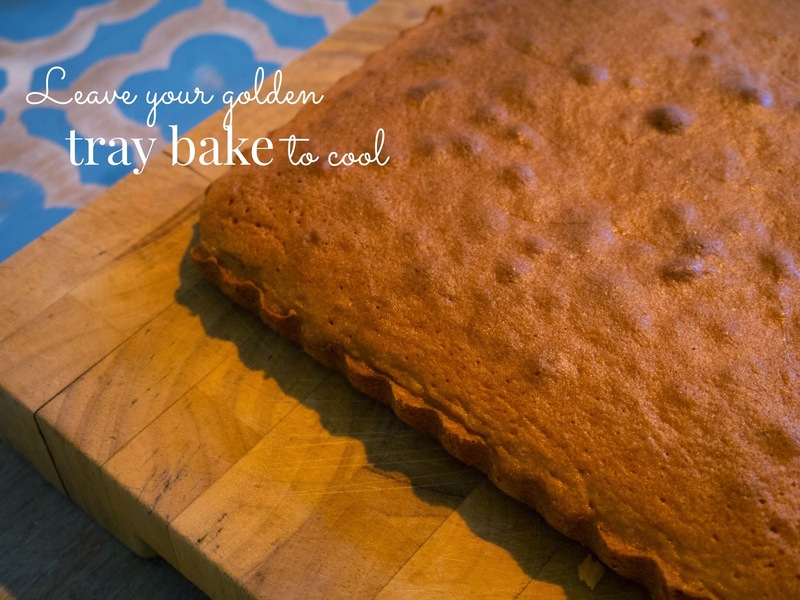 Once fully cool, pop your cakes out of their tin, or cut out the circles from your tray bake. Either cut in half, or pair up with another to make your sandwiches. 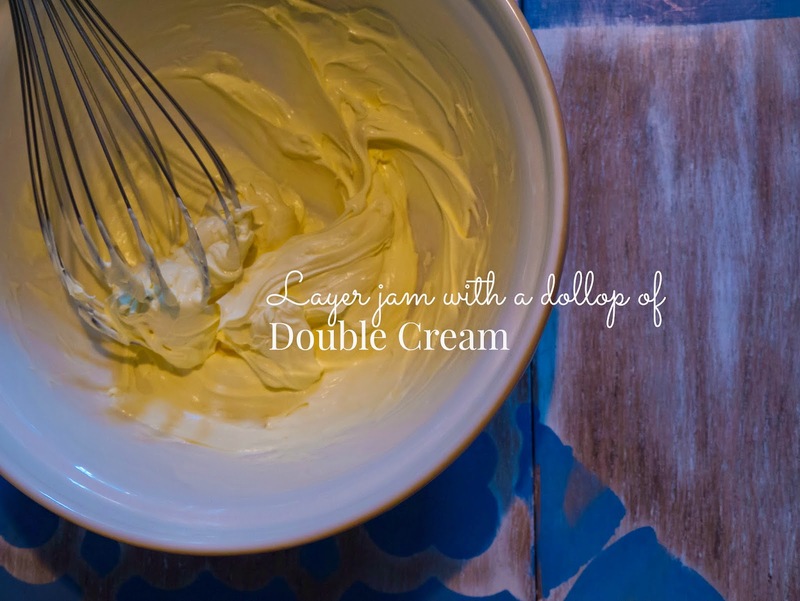 Whip up your double cream, and add another dash of vanilla to give it extra flavour. Careful not to overdo it, you don't want claggy cream from too much beating. 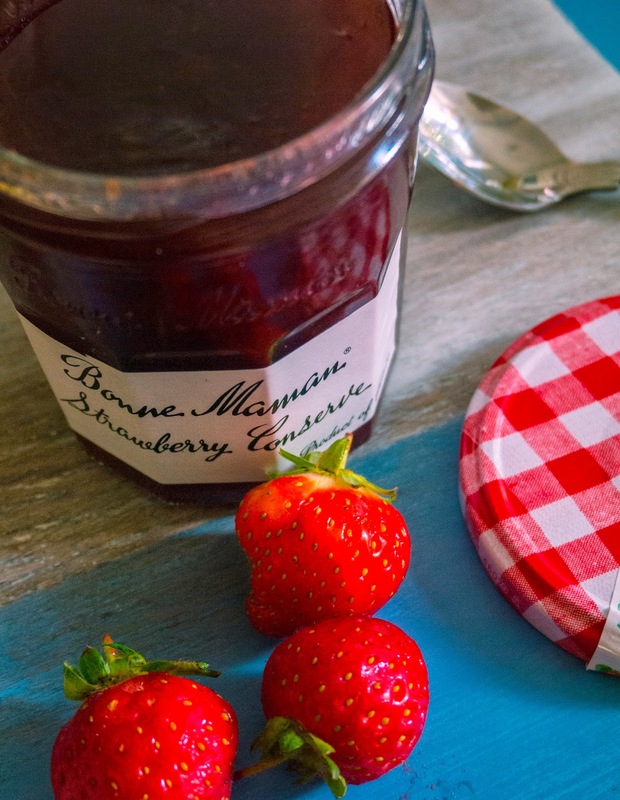 Spread a small amount of jam on the bottom layer - it doesn't need a lot. 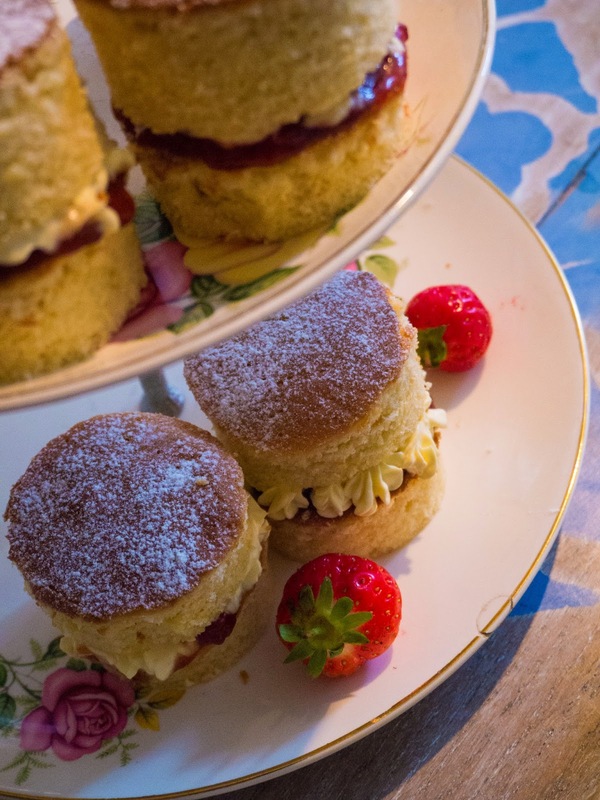 It will all spill out the sides if you load it up too much, so nice dainty portions please! 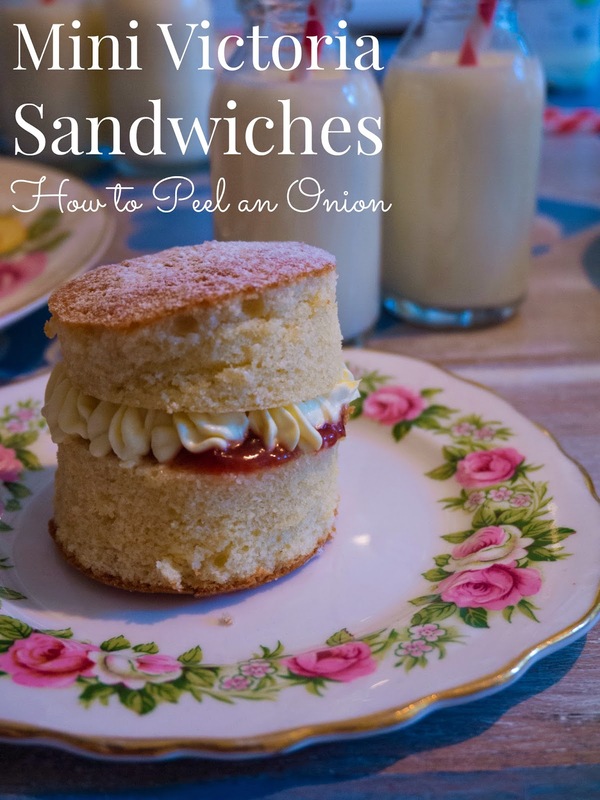 To finish, either spoon or pipe your cream onto the jammy layer and gently place on the top half to make a sandwich. If it does all spill out, don't worry, just wipe it clean and start again. 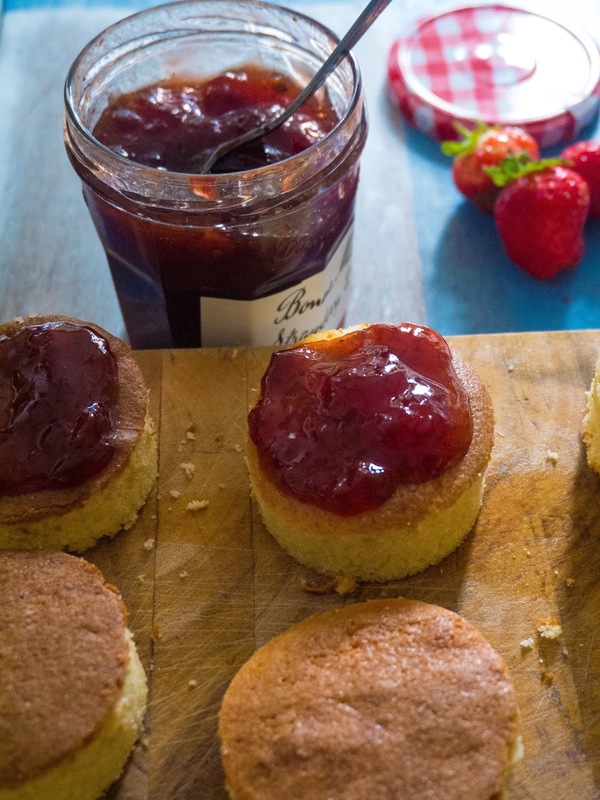 Once you've finished making them look gorgeous, give them a light dusting of icing sugar and serve on dainty little plates with fresh strawberries. 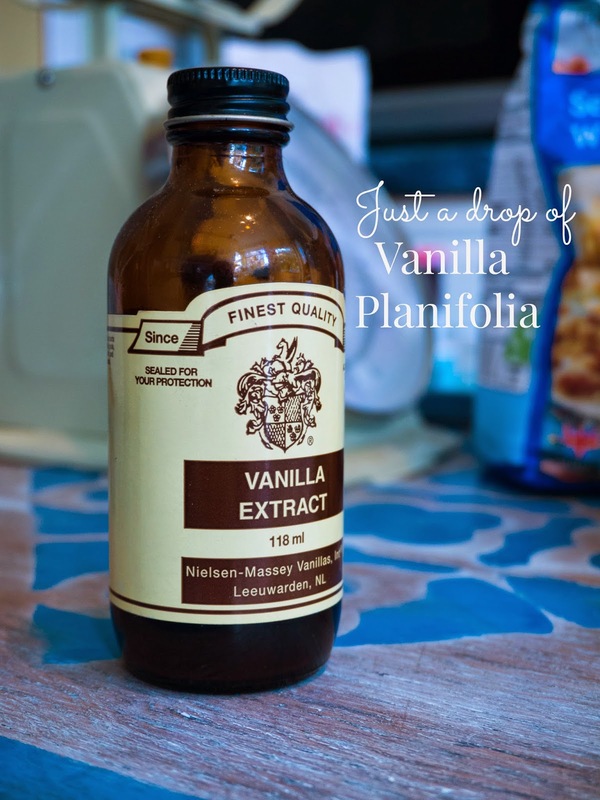 They won't last long, but if you need to, keep them in an air tight container in the fridge so the cream stays fresh. Enjoy!